The first thing I wanted to know when I opened this book was what the heck's a Shmirshky. Well, it is the authors nickname for a woman’s privates. We all have nicknames but Shmirshky is not just a name but a symbol or representation of all women who are experiencing menopause. Everything you would ever want to know about menopause is in this book. I'm not going through menopause, but I suffer from PCOS which have many of the same symptoms. She gives advice on how to find the right doctor to help you get through PM&M, her fond term for menopause. Women have to understand they are not alone. Dolgen shares experiences of her own as well as many other women she has interviewed and asked very delicate questions. She brings about a sisterhood by informing the reader of what changes to expect and how to get your family involved and becoming supportive. After all, they will be going through this with you. The reader will be able to ask for help and talk with family members about PM&M. 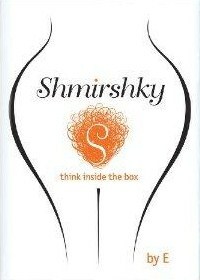 Husbands and children will benefit from reading Shmirshky as well. No longer do women have to hide in shame. This book shines a light on the many changes a woman can go through experiencing PM&M. Dolgen has introduced a whole new vocabulary of acronyms for the women, men and family members. In the back of the book she offers definitions of medical terms as well as all of the acronyms she uses through out the book. Readers will find a hormone therapy menu, hormone brands, website resources, a daily symptom chart and a journal. Everything a woman needs to get through this process that none of us will be able to escape. Don’t think that if you have a hysterectomy that you will be set free. Dolgen has a section on that as well. She stresses not to run towards surgery because it’s dangerous and you still end up going through menopause. She even speaks with women who share experiences with what happened to them after surgery.